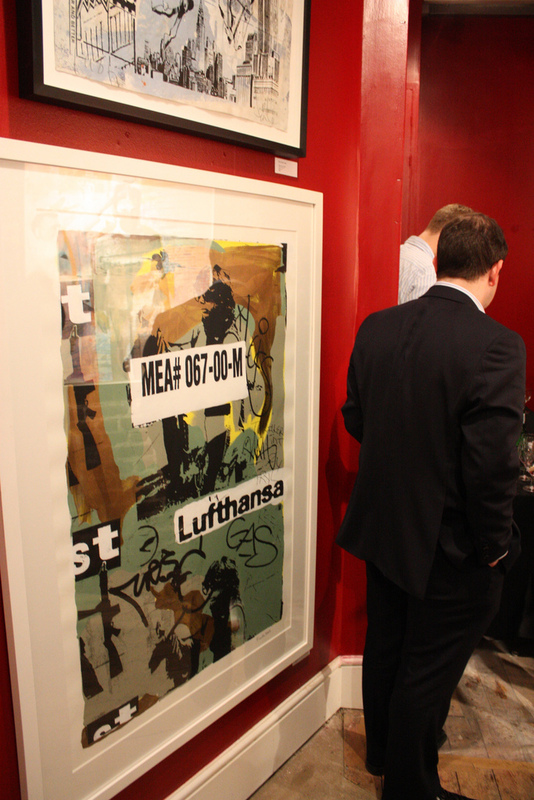 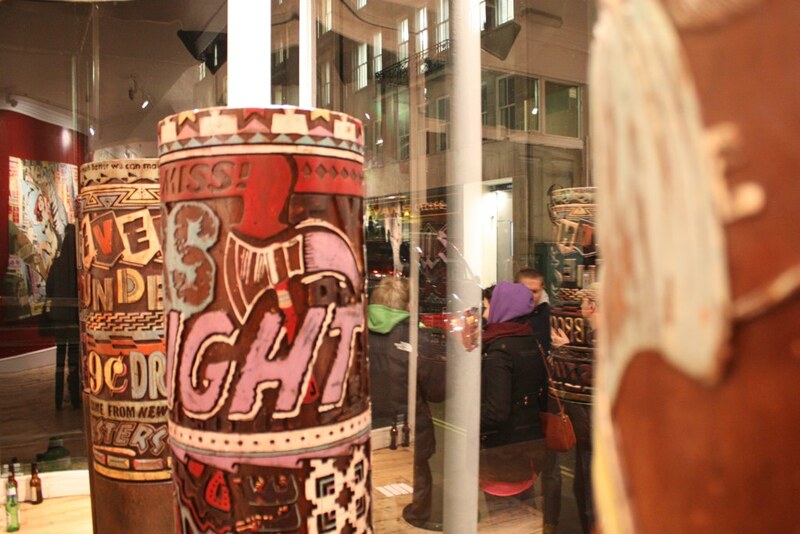 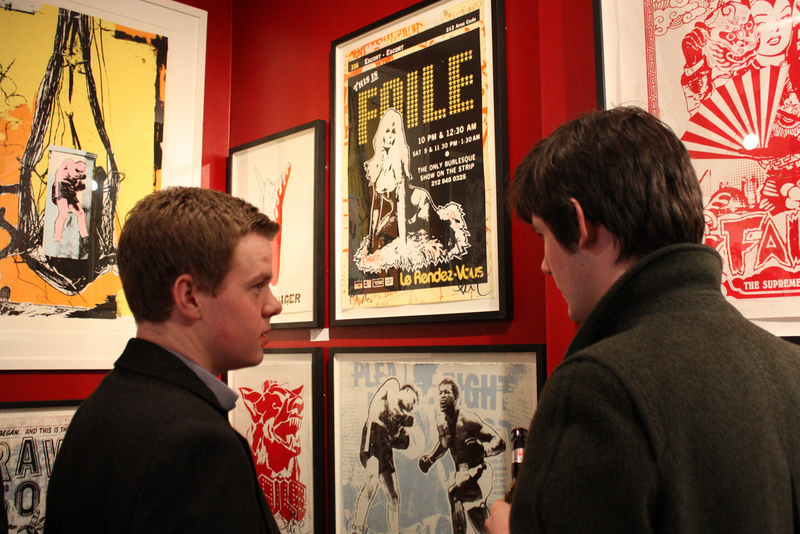 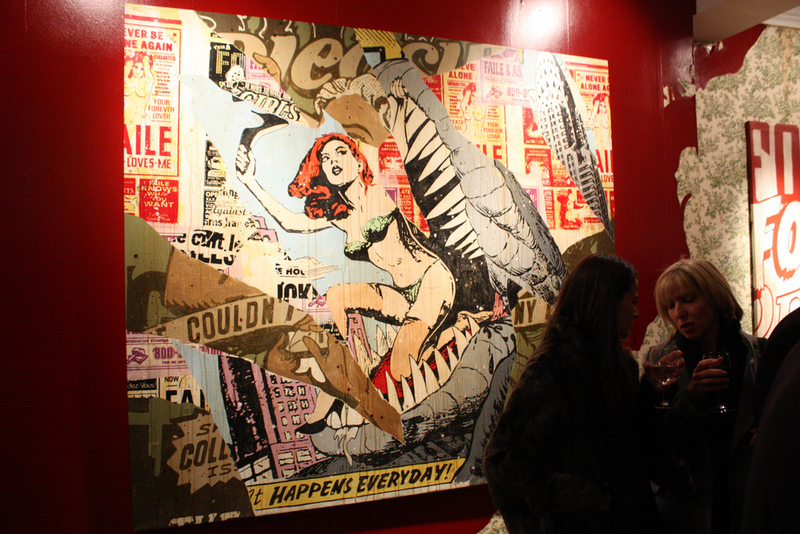 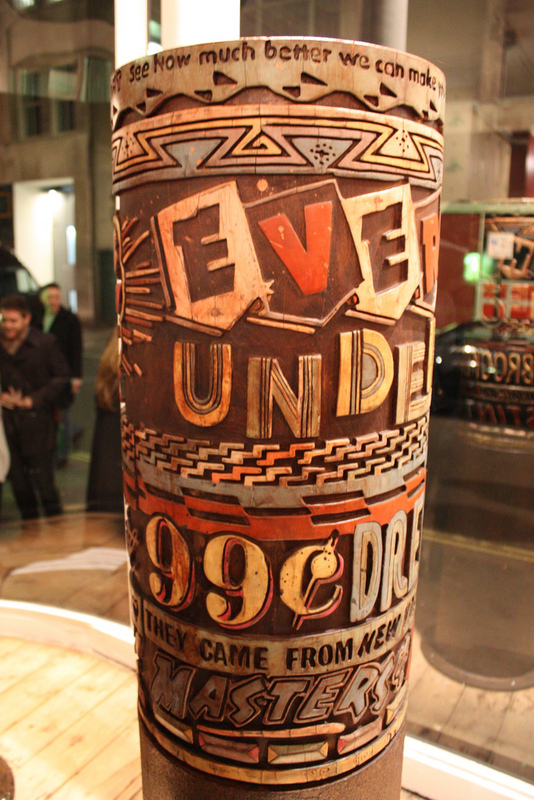 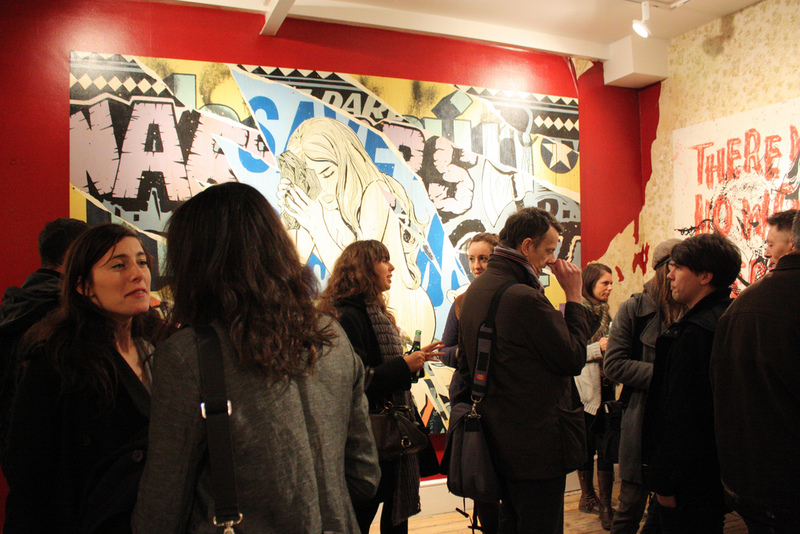 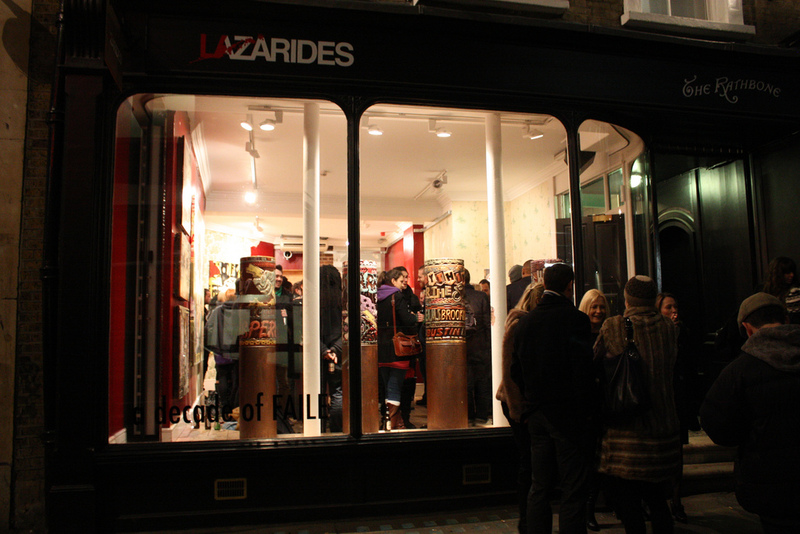 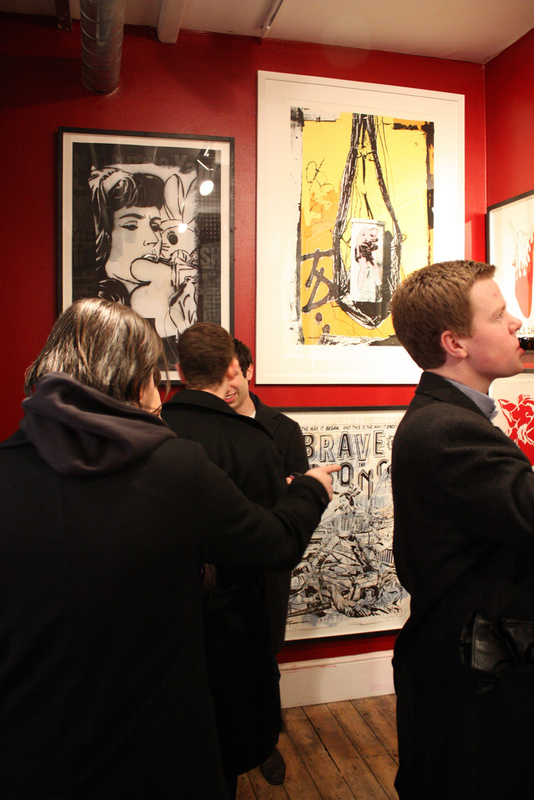 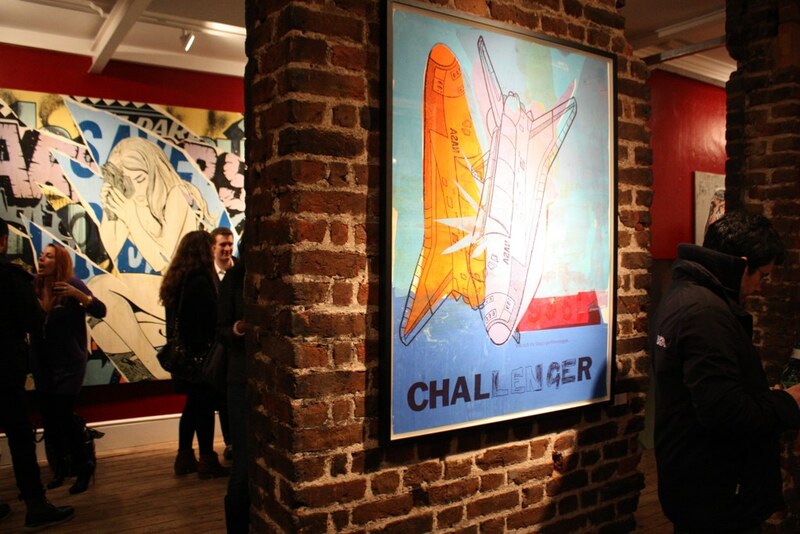 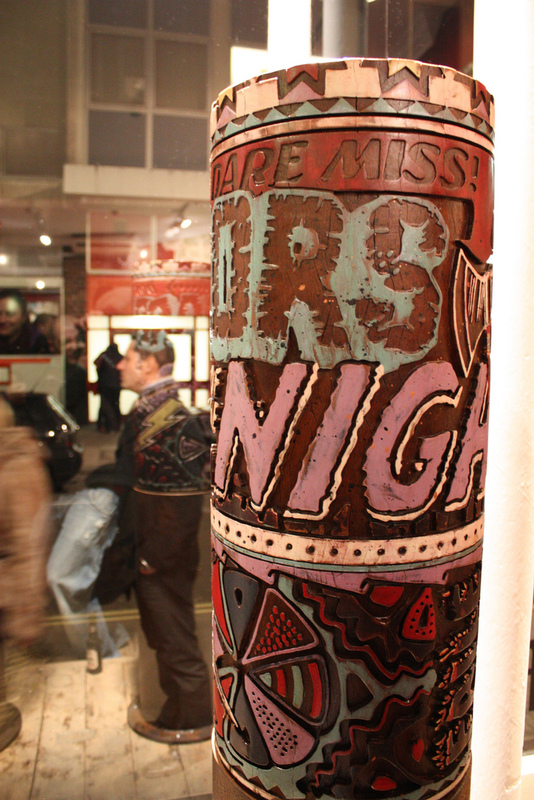 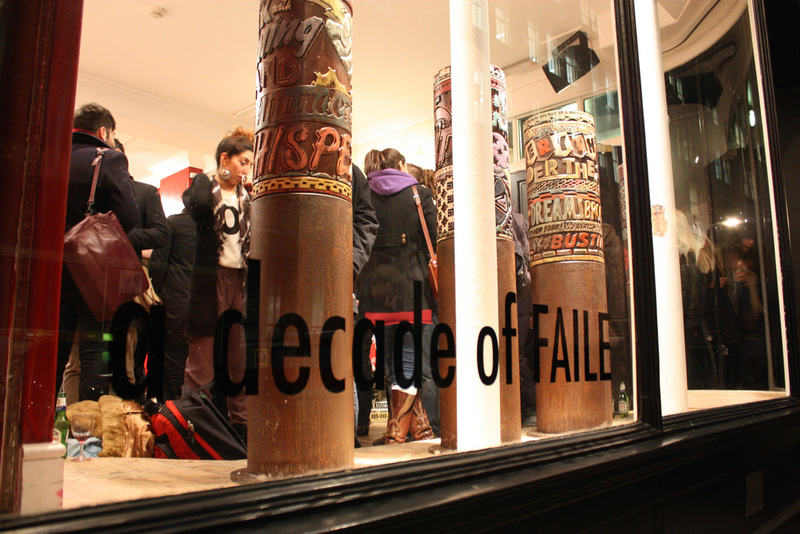 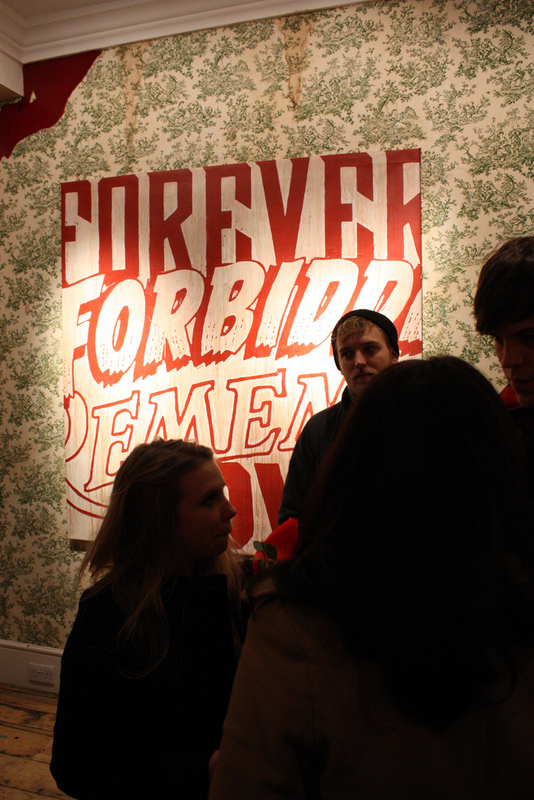 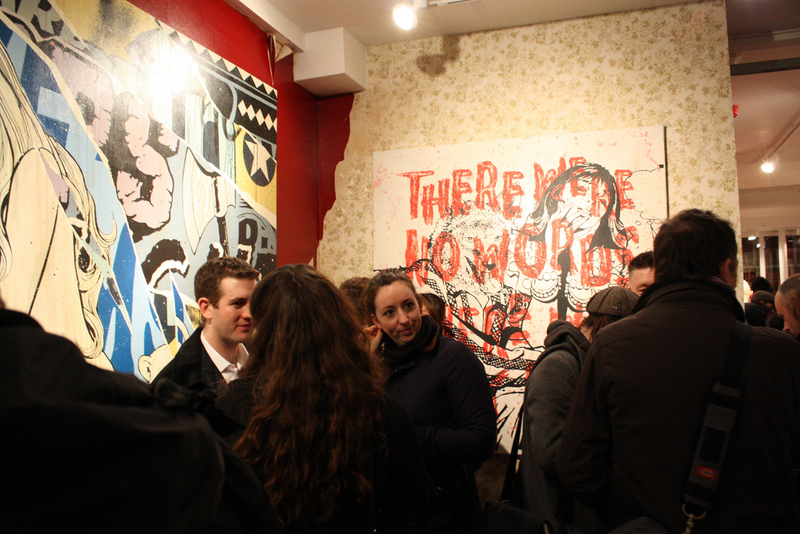 The final stop on AM’s Thursday-night London openings hop was the 10 year retrospective at Lazarides Rathbone Place gallery from one of our favourite street art teams – Faile. 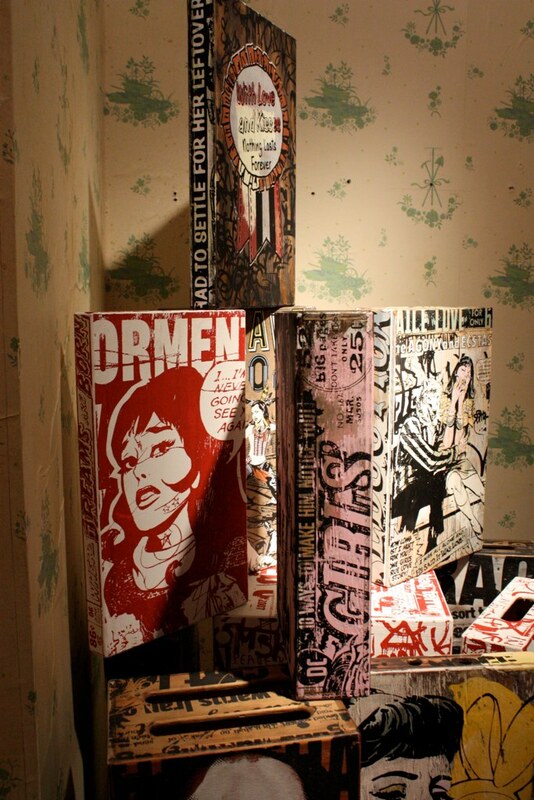 “A Decade of Faile” gave us a glimpse of just about every facet of the Brooklyn artists’ oeuvre – with the exception of the most recent wooden block pieces. 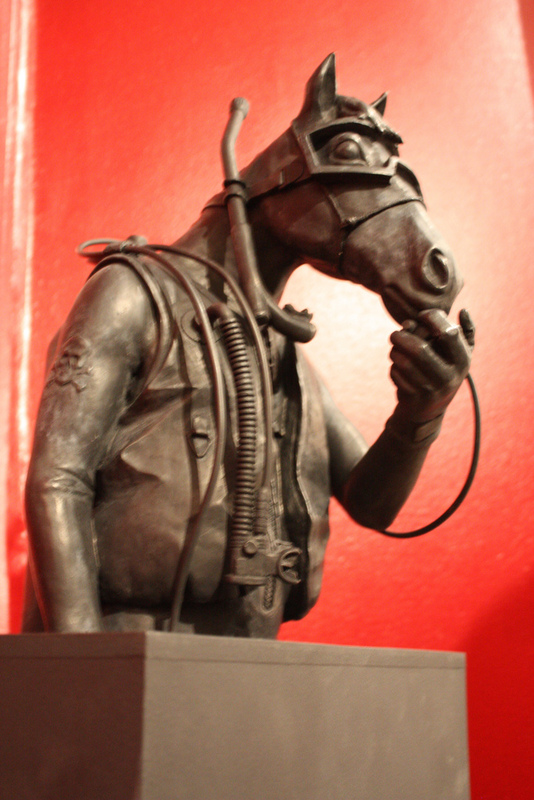 Carved wooden prayer wheels (featured)- first seen at the last London Laz show (covered), and just begging to be spun, the much loved boxes, early works on reclaimed wood, canvas and paper, plus one of the sculptures seen at our recent studio visit – the scuba horse. 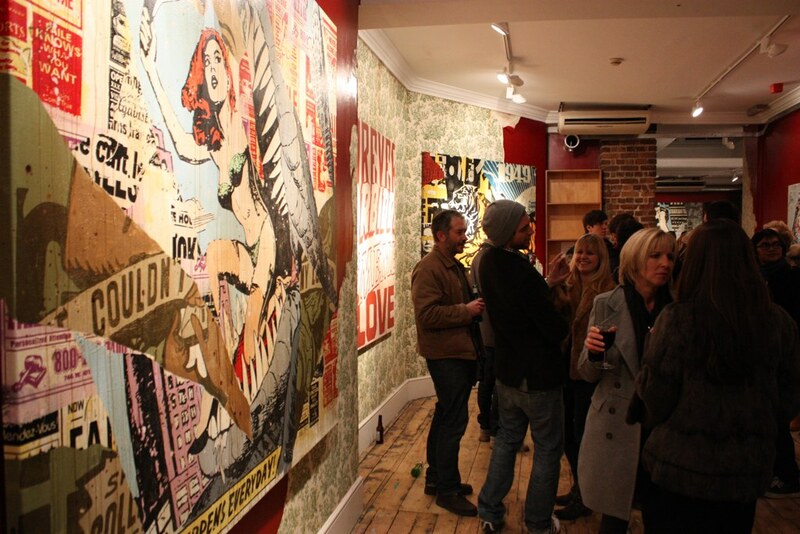 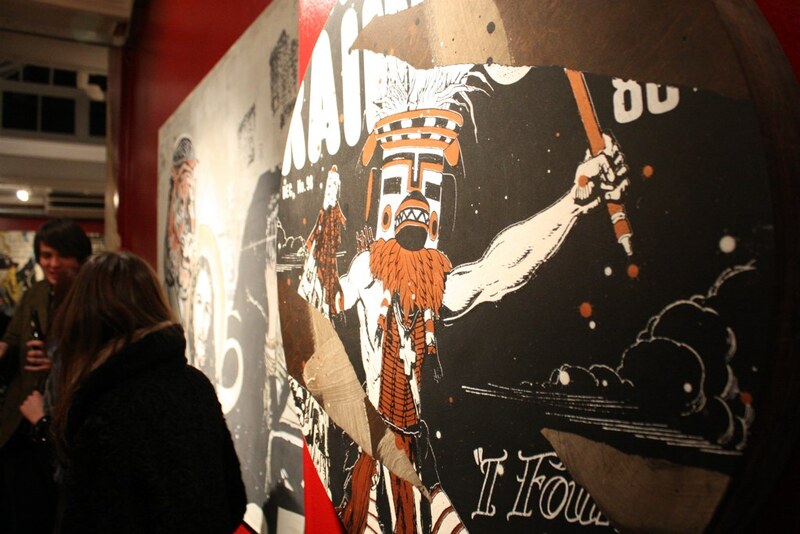 This is a great chance to see the progression of Faile’s work through their last 10 years of creativity, and one you should be sure to catch if you are in London. 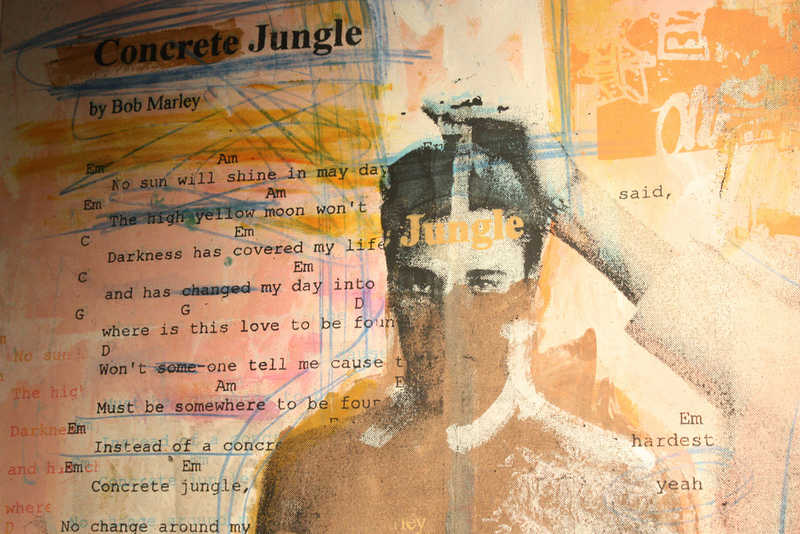 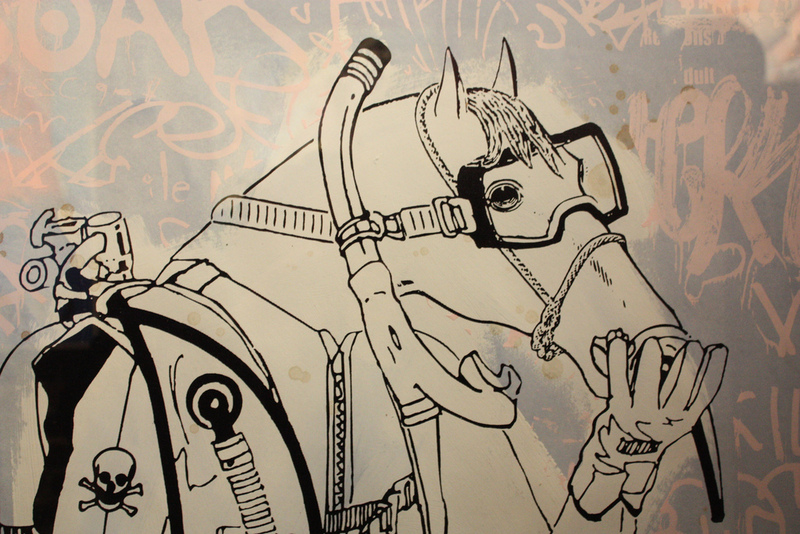 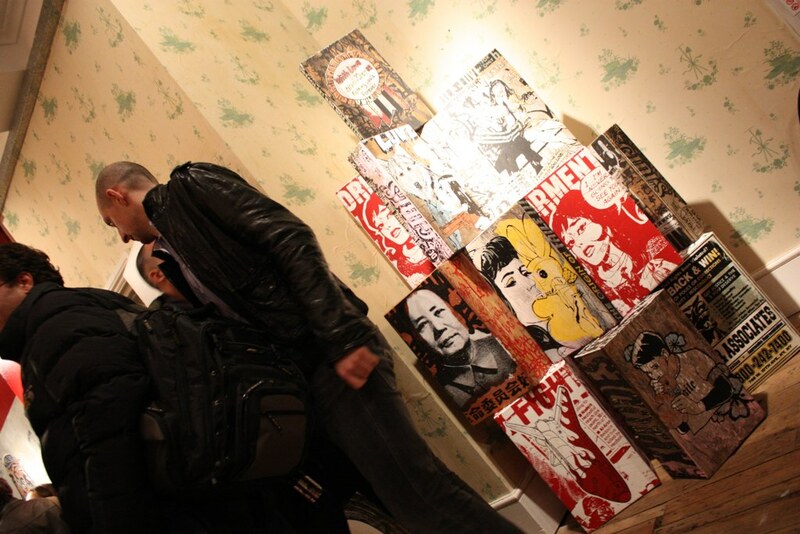 Categories: Art, Openings, Sculpture, Shows & Events, Street & Urban Art. 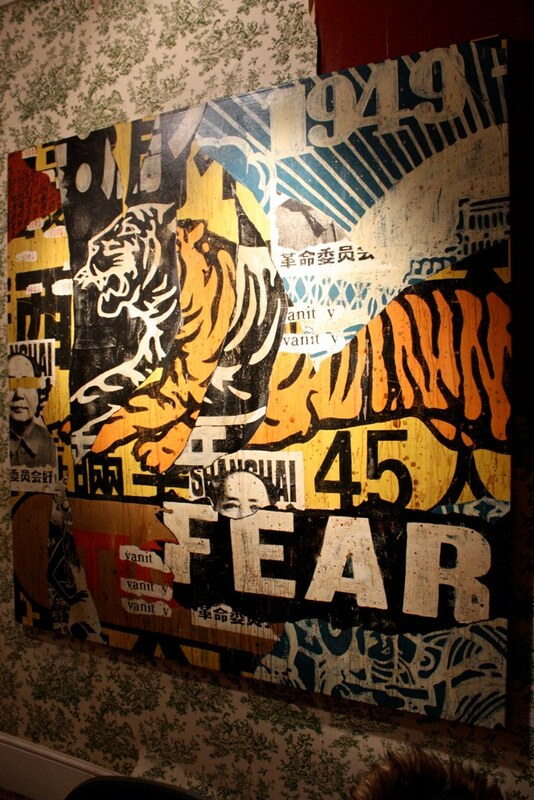 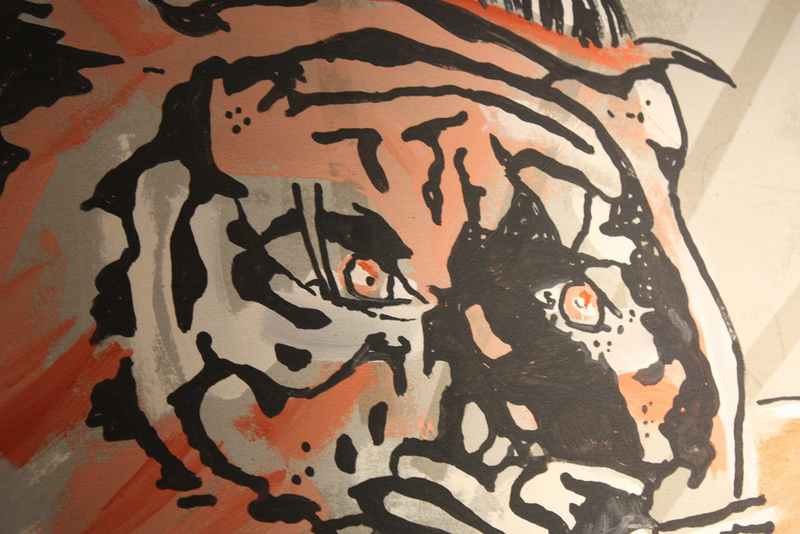 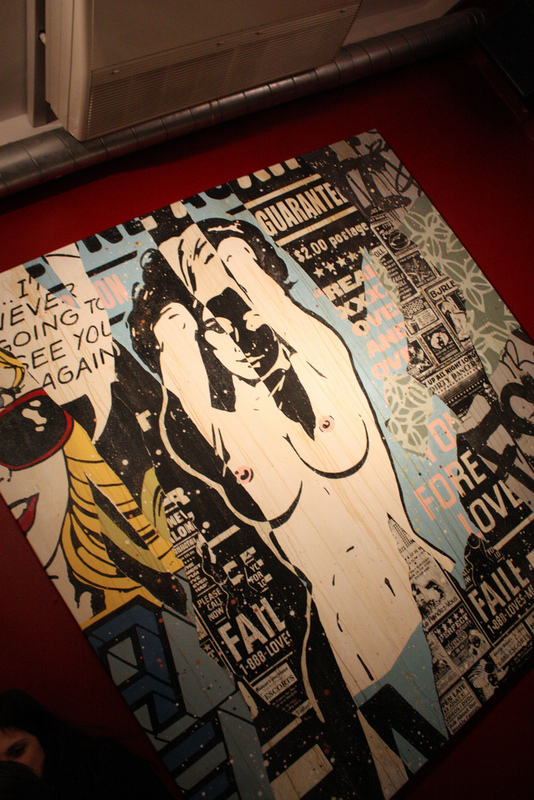 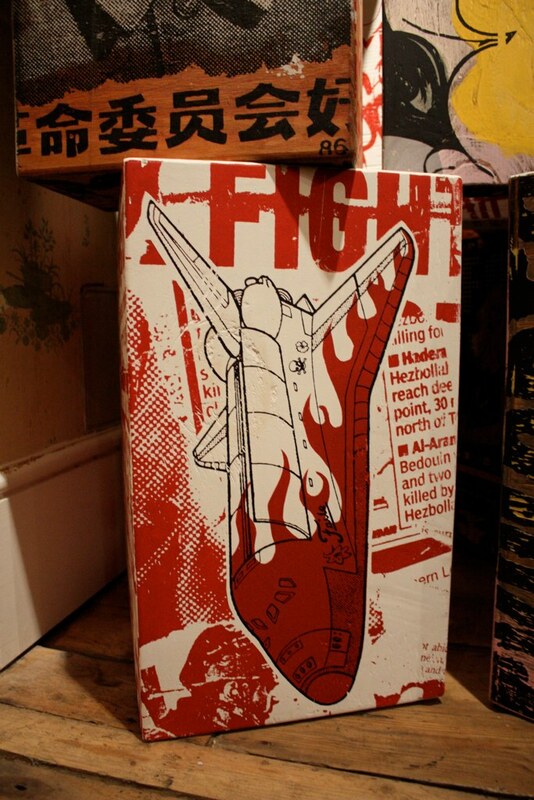 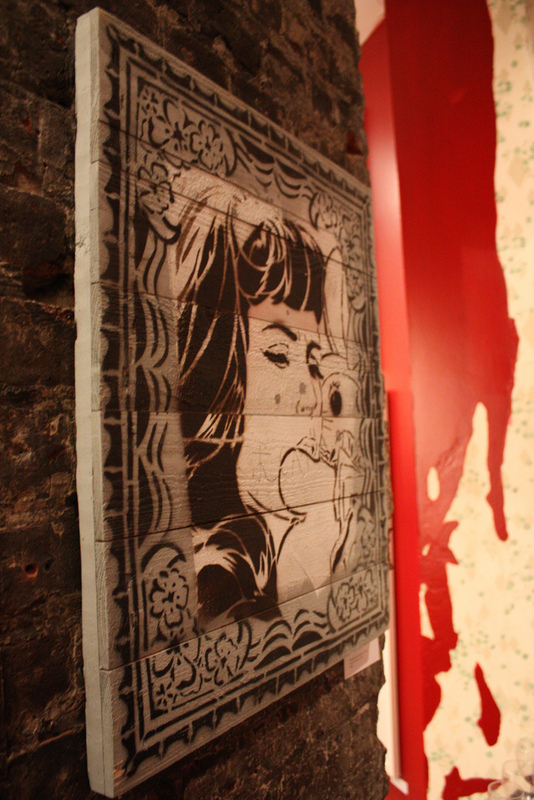 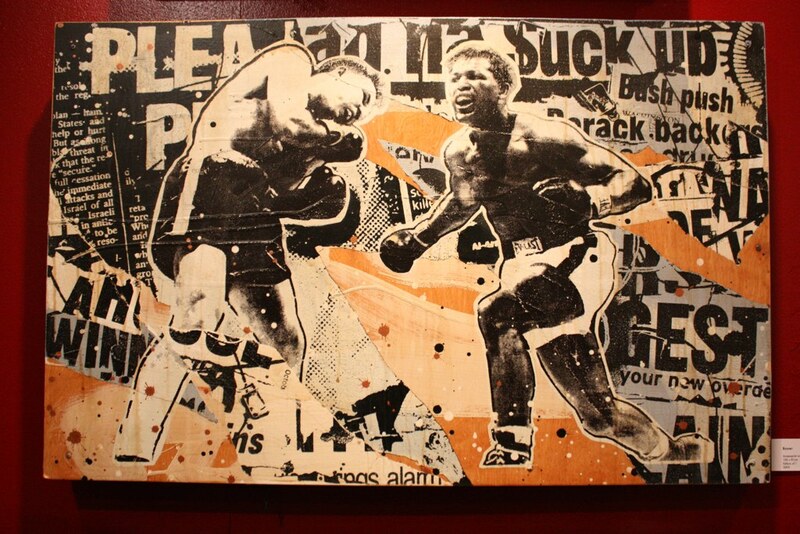 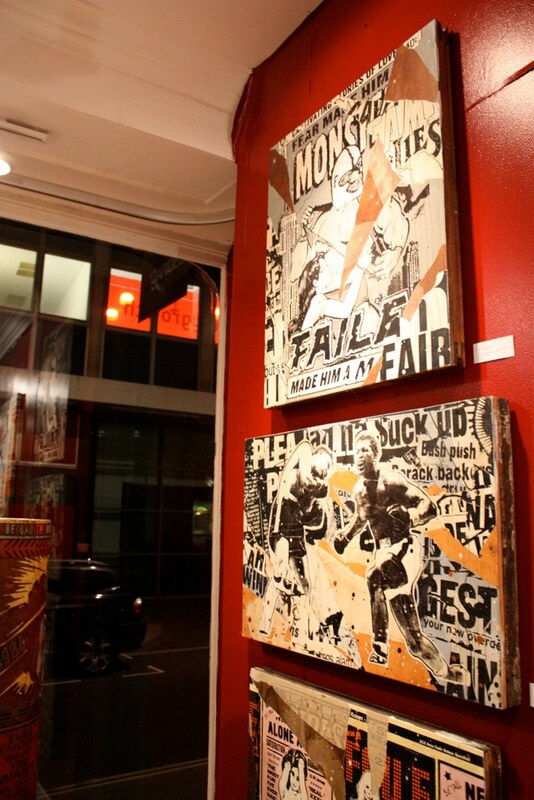 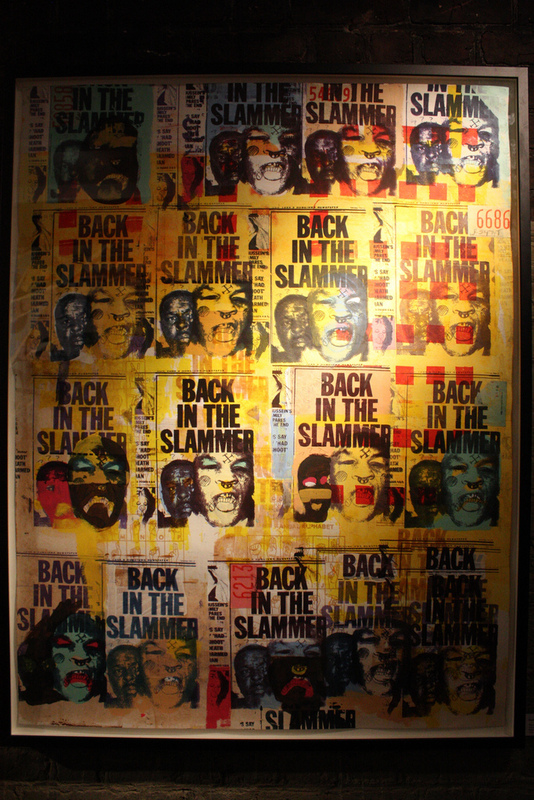 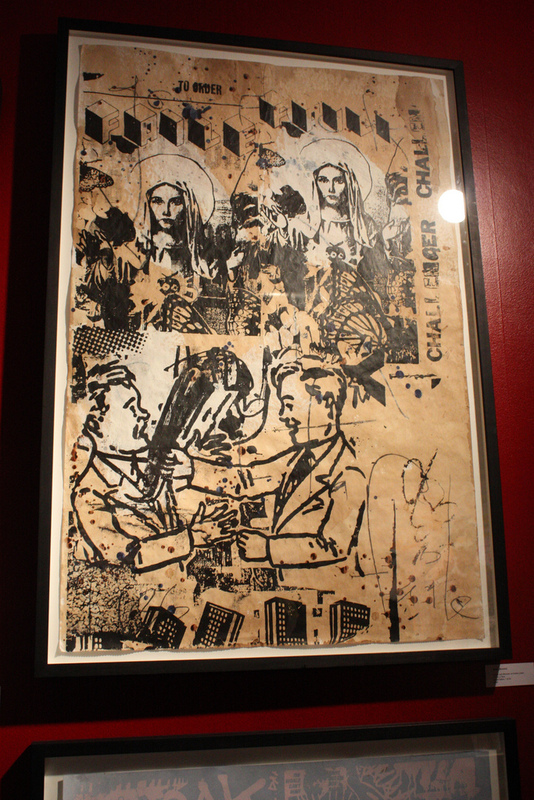 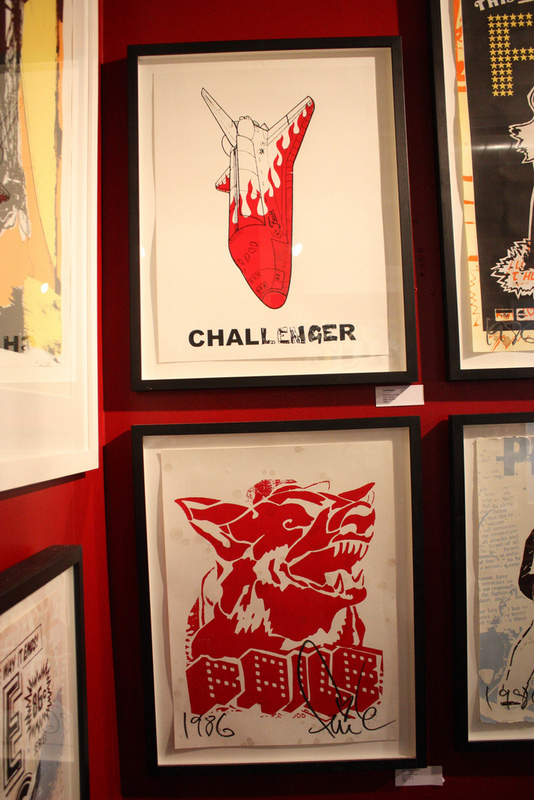 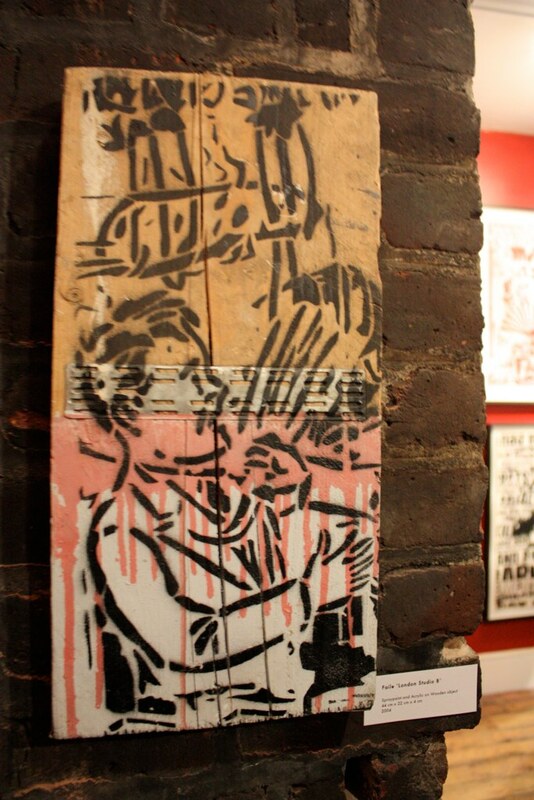 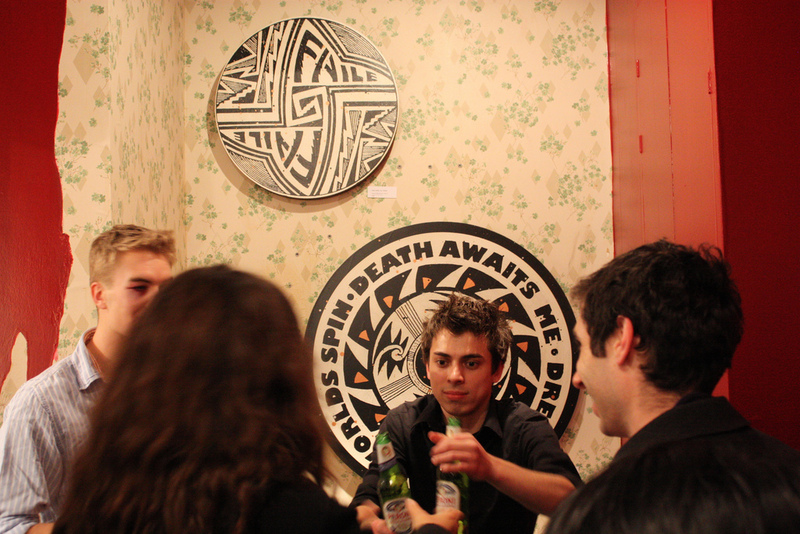 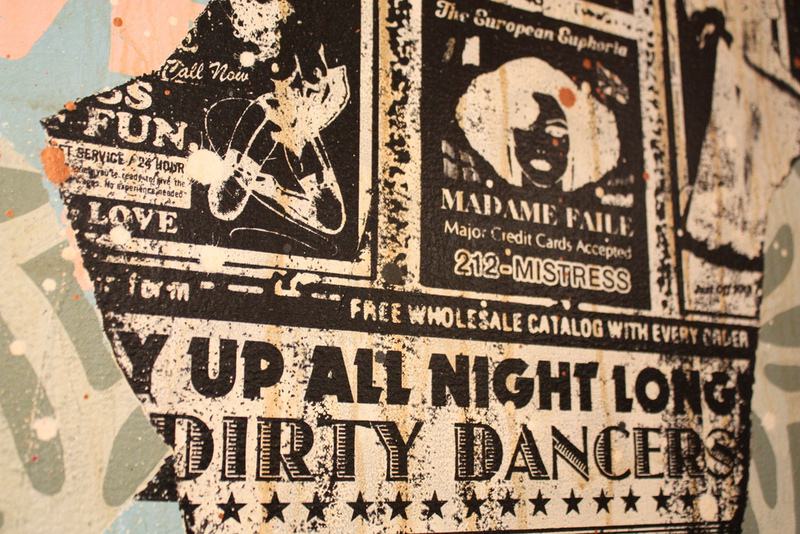 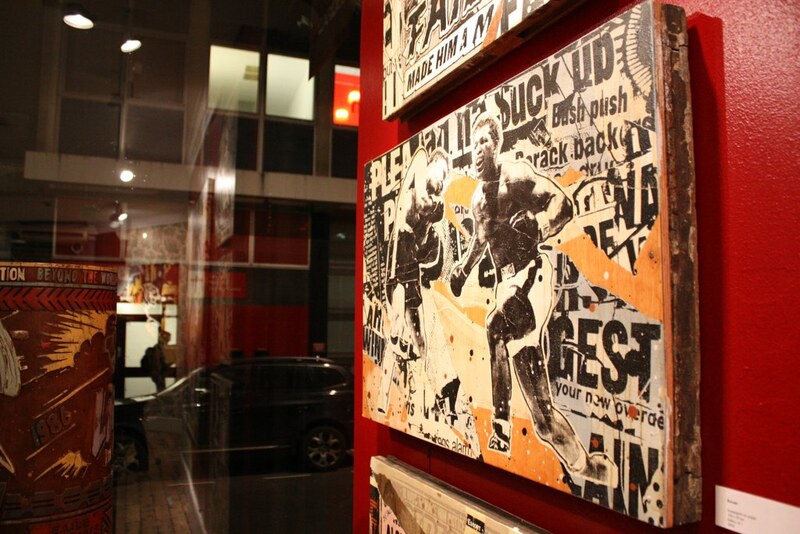 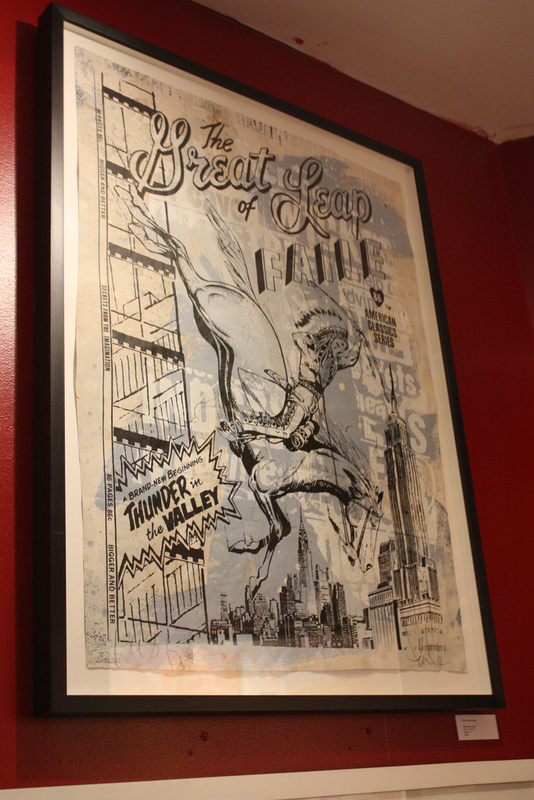 Tags: Bast-Faile Laz '10, Faile, Lazarides, Sculpture, Shows & Events, Street & Urban Art.